We appreciate your feedback and the opportunity to address your concerns. BookVIP is absolutely not a scam. The discounted, 1st-time visitor promotional vacation packages offered on our website are sponsored by the participating resort provider. Because the resort partner is paying the 70% discount on for these promotions, they set forth certain eligibility requirements for these vacation packages. The Terms and Conditions governing every promotional package are located at the bottom of each resort offering page on the website. In addition, the Terms and Conditions (Reservation Details) are reviewed with the customer during every sales call, and must be agreed to in writing by every customer in order to finalize the reservation and have dates sent to the participating resort provider. Unfortunately, your reservation was in question when your husband’s co-worked booked a vacation at the same resort and on the same travel dates as you. This is a violation of the Group Travel provision of the Terms and Conditions. We are happy that, in the end, everything worked out for you. Your original reservation is intact and your friend moved his reservation to another resort nearby. What a SCAM! 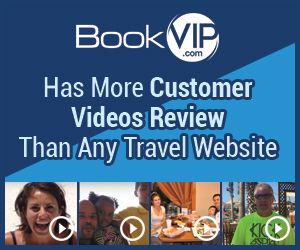 Do NOT book any vacation packages through BookVIP, it's a time share scam. All they want is your money. Terrible customer service. After THEY cancel your travel, they inform you they are not able to process a refund. You can kiss your money goodbye. Product or Service Mentioned: Bookvip Villa Del Palmar Beach Resort Аnd Spa Vacation Package. Review #993436 is a subjective opinion of jlc102100.